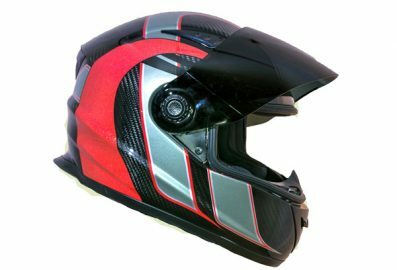 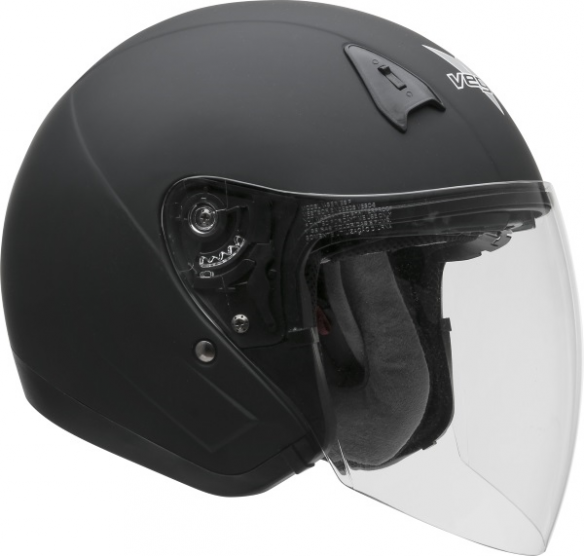 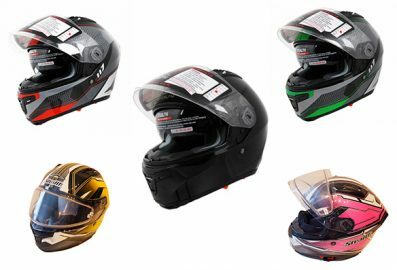 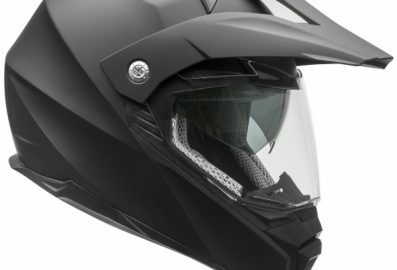 Casque de moto visage ouvert. 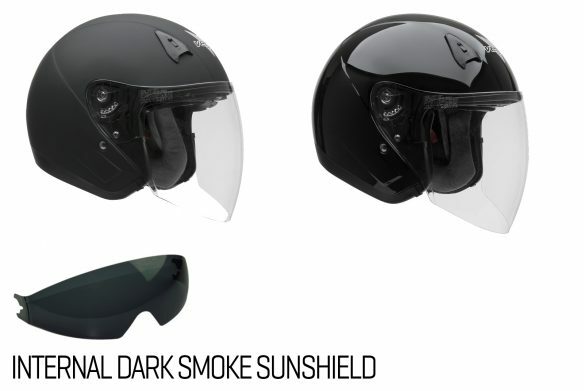 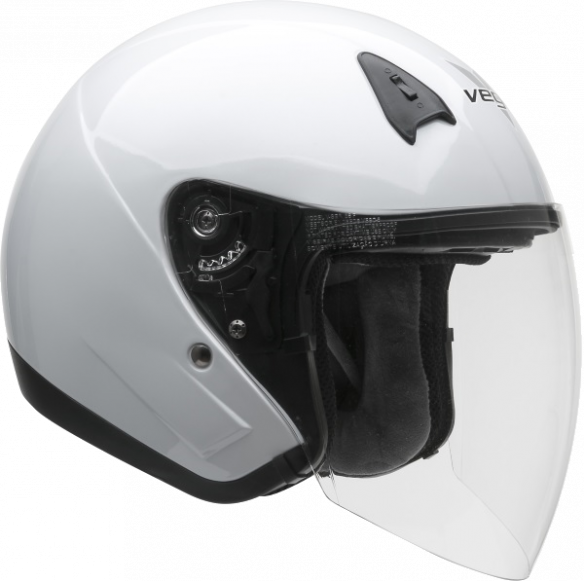 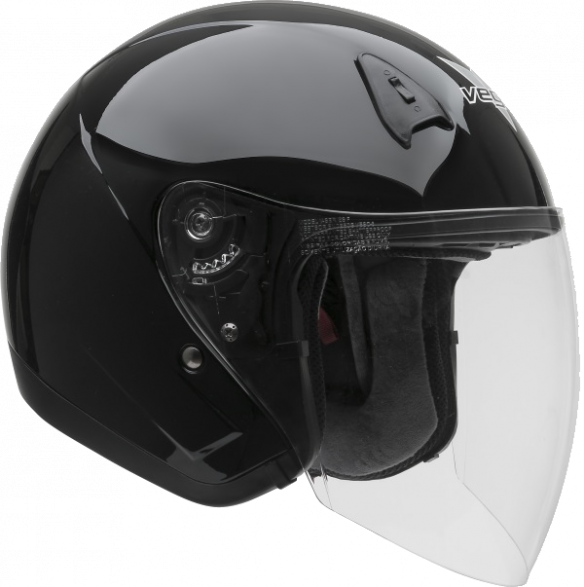 The New Vega VTS1 with a removable washable liner and built in sun shield makes the shielded open face helmet even better with great ventilation and an extra long shield. As always Vega Helmets are backed by a 5 Year Warranty!